WASHINGTON, D.C. -- President Donald Trump last week signed a proclamation that will make it tougher for migrants -- like those from Central America who are slowly making their way toward the U.S. border -- to seek asylum in the U.S. But the caravan of migrants and asylum seekers -- though now smaller than when it began -- is continuing to press on. The challenge of getting to the U.S. may be worth it to those seeking safer conditions than the ones they are leaving behind. For the past decade, feelings of safety in many of these countries and the broader region have lagged behind the rest of the world. Although Nicaraguans make up a small part of the main caravan, their willingness to make the trip draws attention to the increasing feelings of insecurity back home. Nicaragua stands out as the only country among four in Central America where confidence in police and feelings of safety when walking alone are currently below 50%. 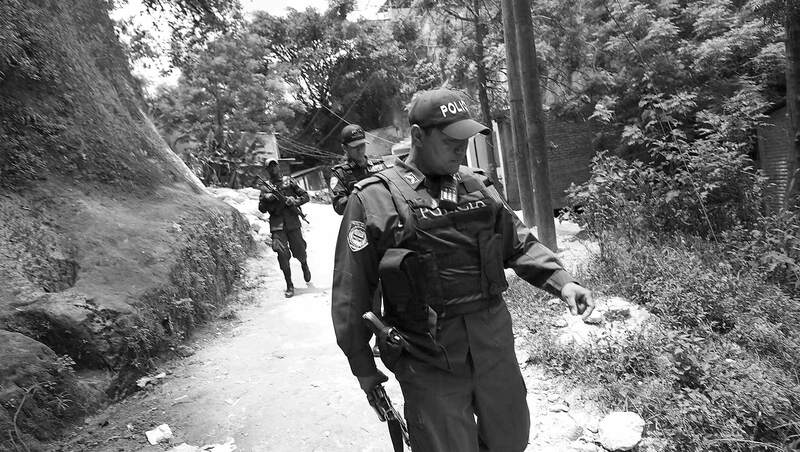 Nicaraguans' feelings of safety have never been particularly high at any point in the past decade, and in 2018, less than half of residents in the country (46%) say they feel safe walking alone at night in their area and 40% express confidence in local police. Police crackdowns on anti-government protesters -- which have resulted in hundreds of deaths since the protests began in April -- likely did not help security perceptions. Currently, both measures mark new lows in Gallup's 12-year trend for Nicaragua. In addition to the political strife, many residents in these countries share their neighborhoods with gangs and drug traffickers. In Nicaragua, for example, about one in three residents reported in 2017 that there are gangs (35%) and drug trafficking (32%) in their local areas. In Honduras, from where the caravan originated in a crime-ridden city rife with gang warfare, more than one in five in 2017 reported local drug trafficking (21%), while one in four said there are gangs in their area (26%). Meanwhile, nearly one in five (18%) say that a close friend or relative has been murdered in the past year. Are there gangs in the area where you live? Is there illicit drug trafficking or drug sales in the area where you live? Within the last 12 months, have you had a relative or close friend murdered? Reports of knowing a murder victim are also fairly high in Guatemala and El Salvador, where more than one in 10 say they know a friend or relative who has been murdered in the past 12 months. While Nicaraguans are most likely to report drug trafficking among the four Central American countries that have made up the caravan, gang presence is highest in El Salvador, where most residents (54%) say there are gangs in the area where they live. Gang violence in El Salvador has grown over the decade Gallup has tracked this measure. Compared with about a quarter of residents reporting gangs in their local areas in 2007 to 2009, this figure has at least doubled in recent years, with majorities of residents reporting local gang activity in 2015 through 2017. The caravan of migrants and asylum seekers has become a flashpoint in U.S. politics, a symbol Trump has used to support his mission to beef up border security and enforcement. Though legal asylum in the U.S. remains unlikely for many migrants as Trump doubles down, a variety of conditions back home make the trip worth the gamble. Results are based on face-to-face interviews with approximately 1,000 adults per year, aged 15 and older, in each country. For results based on the total samples of national adults, the margin of sampling error ranges from ±2.5 percentage points to ±3.8 percentage points at the 95% confidence level.